The revolutionary way of preparing Baby's formula bottles. 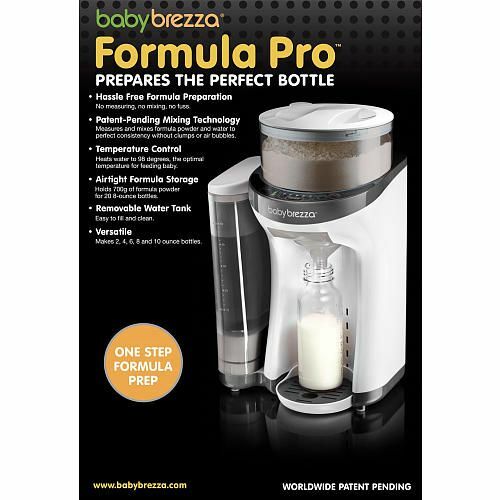 Formula Pro takes the hassle out of preparing formula bottles of milk. At the touch of a button, Formula Pro measures the water and then the formula powder to mix up a feed at the perfect temperature and consistency.